There are 1 cat videos tagged with scottish-straight. Cats in slow motion are so fun to watch. 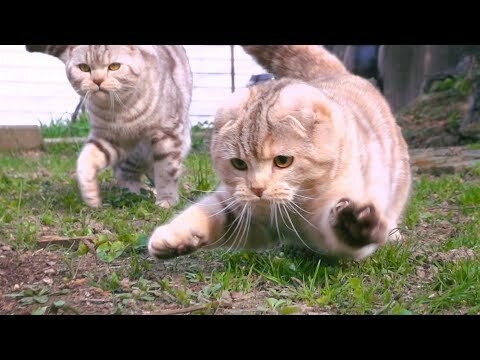 In this video, several adorable Scottish Fold and Scottish Straight cats get to play outside with their owner. Because of the slo-mo, you get to see their true determination for catching that stick that just keeps running away from them.